Lucy reads a befuddled Schroeder the riot act in this Mound of Trouble design combining the beloved Peanuts characters, our national pasttime, and the whimsical artistry that is unmistakably Jim Shore. 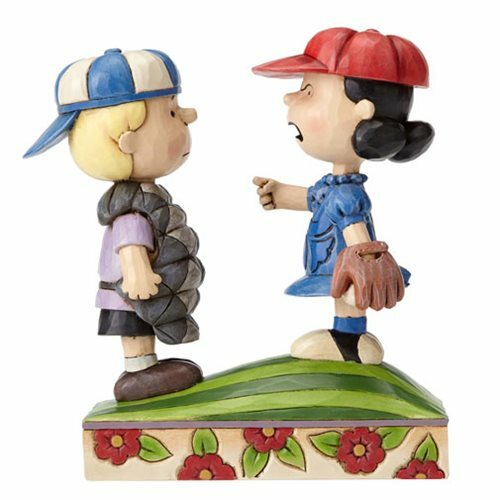 The Peanuts Jim Shore Baseball Schroeder and Lucy Statue is made of stone resin. Measures about 6-inches tall x 5 3/4-inches long x 2 1/2-inches wide.